Mini DP to HDMI/ VGA/ DVI converter White/13.3CM | Surovi Enterprise Ltd. 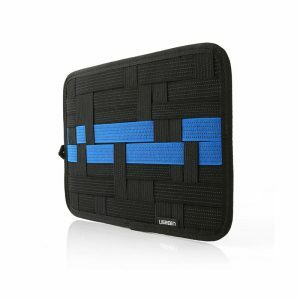 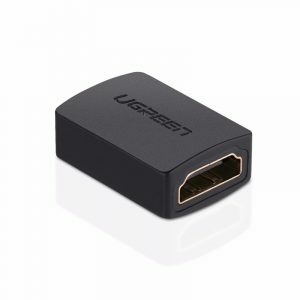 The Mini video adapter can seamlessly connect Surface Pro, MacBook, MacBook Pro and any other computer or tablets with a Mini Display Port to high definition displays with HDMI, DVI or VGA input port. 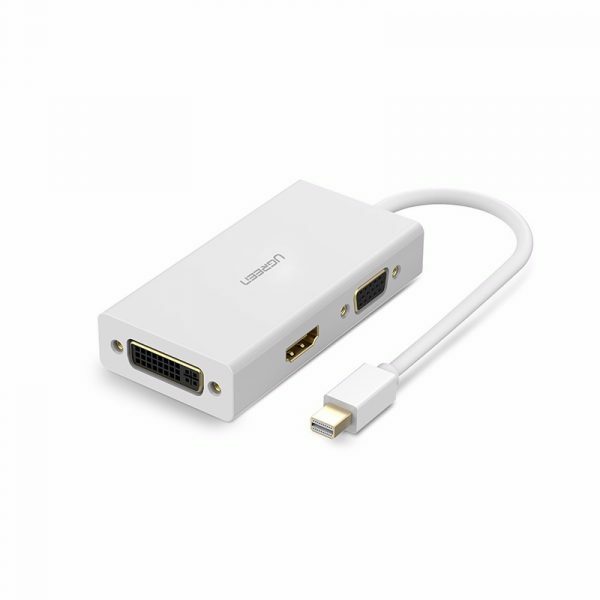 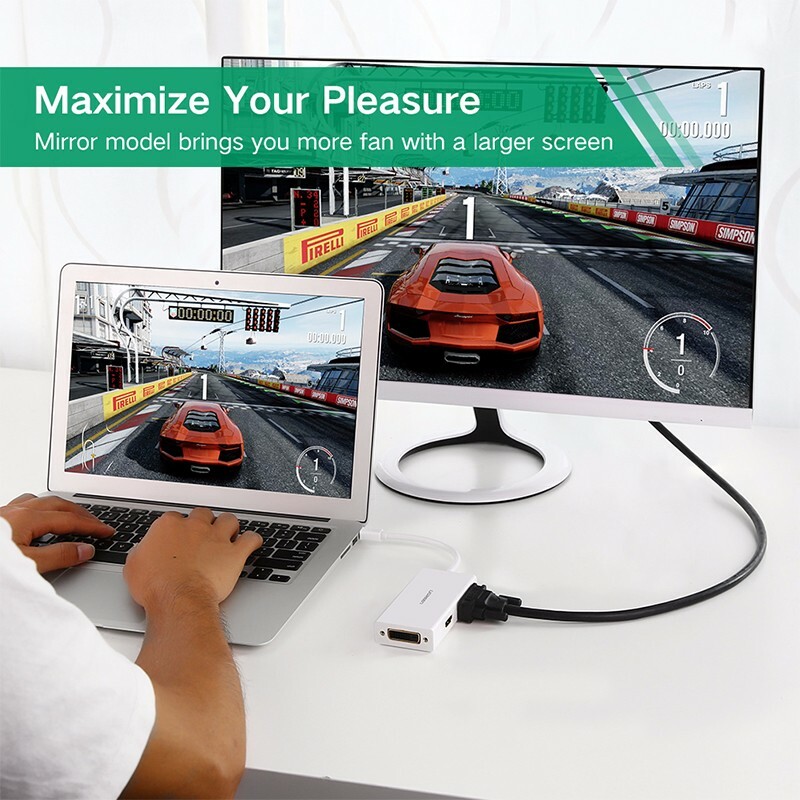 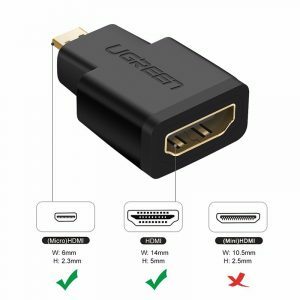 This 3-in-1 mini displayport adapter offer your a wide options to connect your source devices to displays with various interfaces. 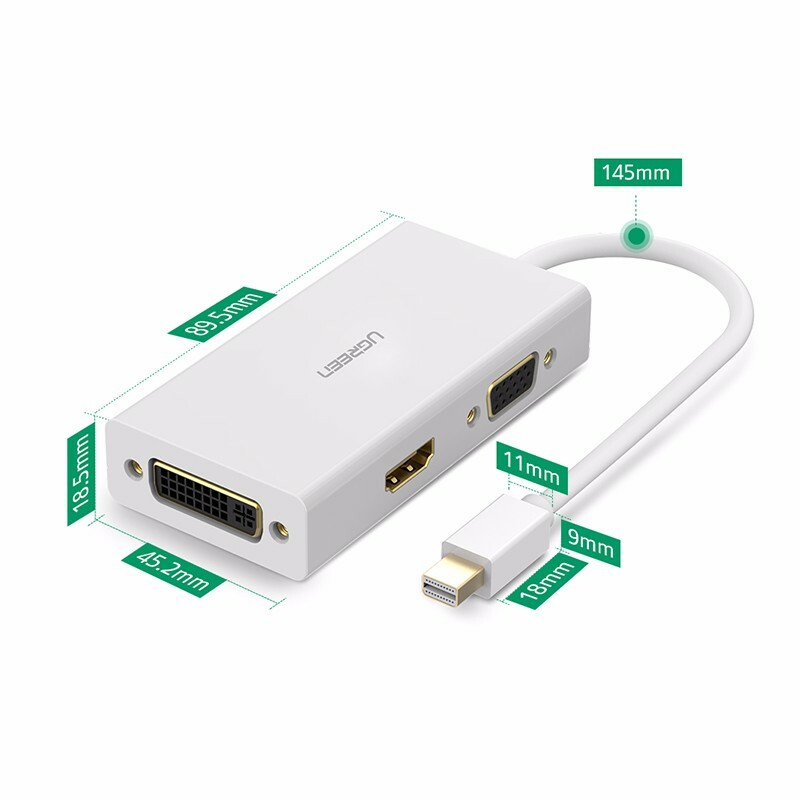 Only one of the 3 outputs could be used at a time, can\’t use hdmi dvi vga ports simultaneously. 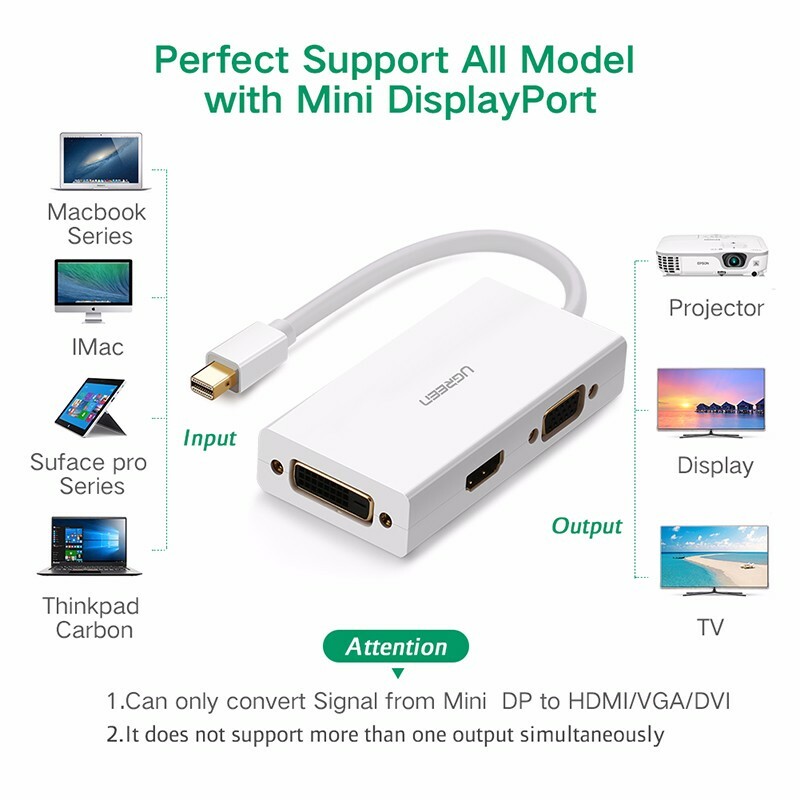 This is not a bi-directional adapter, only converter signal from mini dp port to hdmi/vga/dvi port. Audio output only supported by HDMI port, DVI and VGA ports do not suppot audio output.